Havre MT has a new real estate company, but it’s owner is no stranger to the community. John Carlson is proud to announce the start of his company Bullhook Real Estate LLC. John has lived most of his life on the Hi-Line, growing up north of Chester and graduating from Cut Bank High school. John has over 20 years of sales and management history; his first business endeavor, Bullhook Property Management LLC, established in 2008, is the largest property management company on the Hi Line today. He has been involved in the rental business since he was a small child, some of his fondest memories of his grandmother involved working side by side with her on her rental properties. He has been selling real estate for nine years and is a member of the National Association of Realtors, Montana Association of Realtors, and the Havre-Hi Line Chapter of the Billings Association of Realtors. When he is not working, John enjoys spending time with his two daughters who attend North Star High School. He also enjoys camping and hiking in Glacier Park and trips to Las Vegas. Several times a year he heads to Butte to visit his family and soak up the history it has to offer. We can help you find the home of your dreams! We can help manage your properties! Our resources can match you with the perfect rental! John has lived most of his life on the Hi-Line, growing up north of Chester and graduating from Cut Bank High school. John has over 20 years of sales and management history; his first business endeavor, Bullhook Property Management LLC, established in 2008, is the largest property management company on the Hi Line today. He has been involved in the rental business since he was a small child, some of his fondest memories of his grandmother involved working side by side with her on her rental properties. 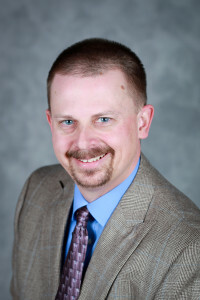 He has been selling real estate for nine years and is a member of the National Association of Realtors, Montana Association of Realtors, and the Havre-Hi Line Chapter of the Billings Association of Realtors. When he is not working, John enjoys spending time with his two daughters who attend North Star High School. He also enjoys camping and hiking in Glacier Park and trips to Las Vegas. Several times a year he heads to Butte to visit his family and soak up the history it has to offer.